We get hundreds of birds everyday at our feeders. 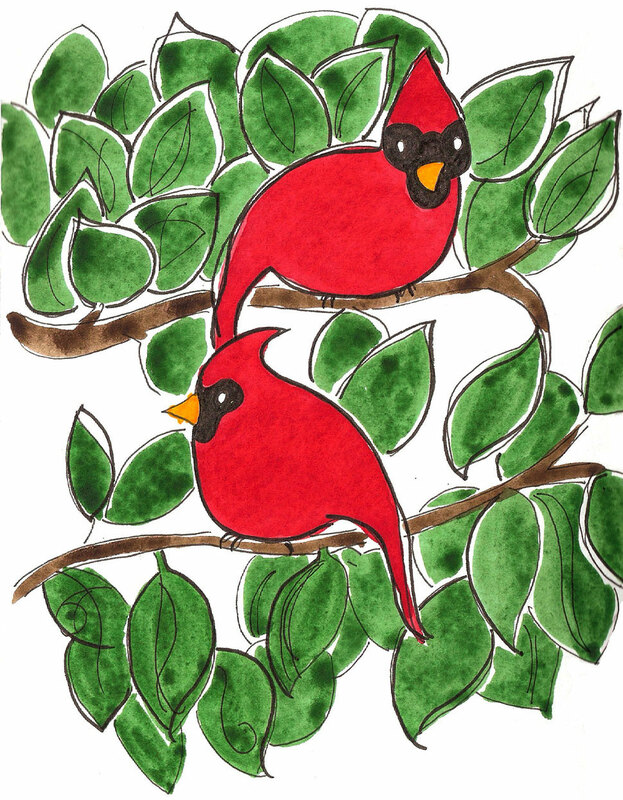 I can always spot the Cardinals waiting in the bushes. It’s kind of hard to hide when you are this beautiful! I love your vibrant colors! This would make a wonderful Christmas card! Love it. You are so lucky to have such pretty little birds in your garden. my husband is really the birdman around here. he fills 4 feeders every morning. plus the bird baths. now that it is cold, they get heaters in the bird baths!! we love to spoil our cats and birds here! This is such a beautiful picture and I love the story of the heaters they get in the bird baths. Great! So cute! Nicely designed too. It's beautiful. I adore cardinals, and i miss them so much. They don't live in Oregon. But my mother e-mails me pictures from Maine where the cardinals feed at the feeders my parents leave out all winter. The males are especially spectacular. Especially against all the pretty white snow. (Which we don't get here in Oregon either.) lol.